Here, you’ll find the lowdown on what our tour entails and how to reserve your spot on it. Your tour starts in The Artifactory, the nerve center of the Magic Hat universe. 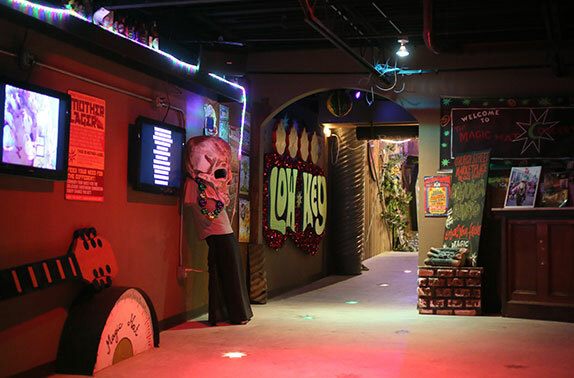 From here, you’ll be guided up the tour ramp, passing many strange artifacts from Magic Hat’s past, while learning of the history of one of Vermont’s original craft brewers. 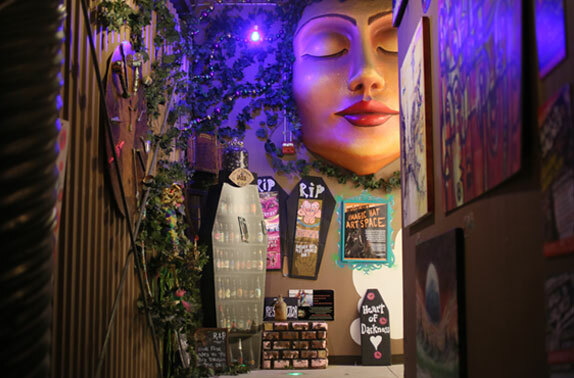 You’ll then head to the movie room, where you’ll be schooled on the brewing process in all its strange and beautiful glory. Next, it’s on to the mezzanine where, schedule-pending, you’ll see our brewery in action, before sampling beers that are only available on our tour ramp.